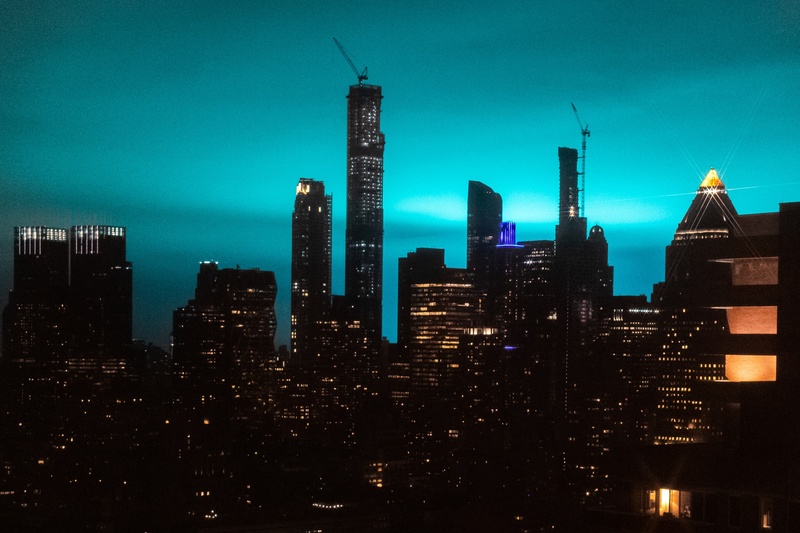 An explosion at an electrical substation in Astoria, New York City, illuminated the skyline with a bright blue light and cut off power to LaGuardia airport, causing flights to be diverted or delayed. The glow could be seen from Manhattan shortly after 9 p.m. Thursday following a “brief electrical fire” at the facility in the Northern Queens neighborhood, said Bob McGee, a spokesman for utility Consolidated Edison Inc.
LaGuardia had to switch to backup generators during the blackout. Power has since been restored but not before Delta Air Lines Inc. and American Airlines diverted some of their flights to nearby airports. Other services have been delayed for more than three hours, according to LaGuardia’s website. The blue light prompted a wave of commentary on social media, with New Yorkers joking about its origins. It’s “*Not* aliens,” tweeted Eric Phillips, a spokesman for Mayor Bill de Blasio. “There was a brief electrical fire at our substation on 20th Avenue & 32nd Street in Astoria this evening, which caused a transmission dip,” Con Ed tweeted. “All power lines serving the area are in service and the system is stable.” The company said it’s investigating the cause of the blaze. The first flights from LaGuardia in the early morning Friday were listed to operate as scheduled, including a 5:45 a.m. United Airlines service to Houston and a 5:52 a.m. American Airlines departure to Columbus, Ohio. Travelers should still check with their carrier on the status of their flight and allow extra time when coming to the airport, the website advises.